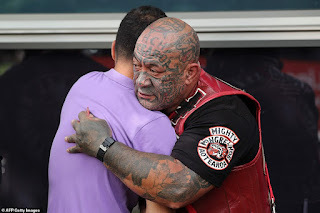 On Friday, 22 March, members of the Mongrel Mob stood guard outside Jamia Masjid mosque in Hamilton after the Waikato﻿ Mongrel Mob president, Sonny Fatu, heard that members of the Muslim community were now afraid of attending their Friday prayers. "We will support and assist our Muslim brothers and sisters for however long they need us," the Mongrel Mob president told Stuff. "We were contacted by a representative who tagged me in and said some of our Muslim brothers and sisters have fears for Friday during their prayer, and the question was posed whether we could be apart of the safety net for them to allow them to pray in peace without fear. "Of course, we would do that, there was no question about that and we will be dressed appropriately," added Fatu, as reported by Stuff. "We will not be armed. We are peacefully securing the inner gated perimeter, with other community members, to allow them to feel at ease," Fatu told Stuff. 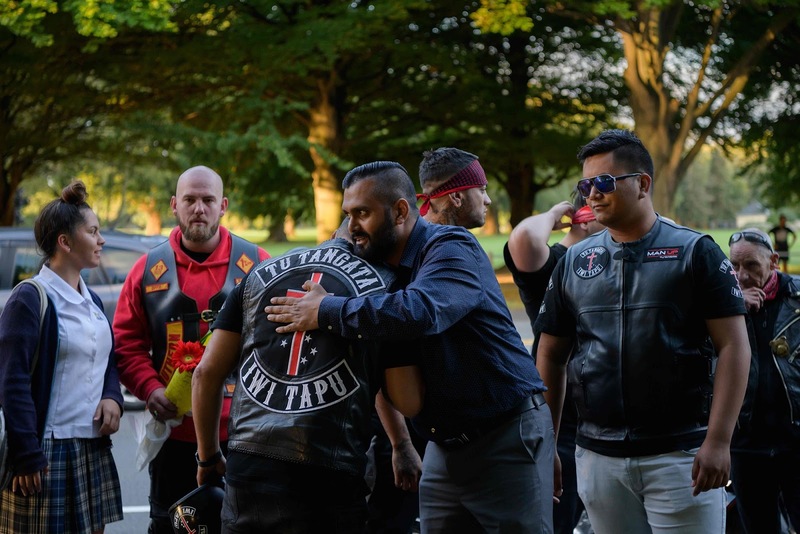 In response, Dr Asad Mohsin, head of the Waikato Muslim Association, was reported by Stuff saying that he appreciated the support received from "different sections of society, different interests and dispositions." "It all gives us the strength to overcome the grief we are undergoing. "We would welcome them to come into the mosque and pray with us. They are part of us as we are part of them," Mohsin said, as reported by Stuff. "Our differences are the glue that holds us so tightly together. We must now focus not on where we have been, but where we are going. "Let us repair the holes in our waka and re-strategise the rest of our journey. 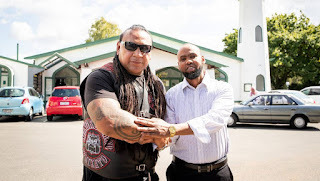 A Karanga (call) as been sent out, vibrating across the universe, conjuring all leadership to come forward and unite our people," Stuff quoted Mr Sonny Fatu as saying. 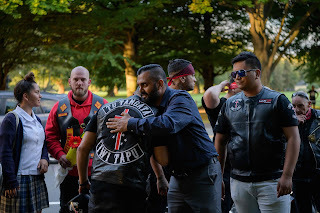 On last Saturday, members of the King Cobra gang paid their respects to senior members of the Al-Masjid Al-Jamie mosque in Ponsonby, a city in the North Island. 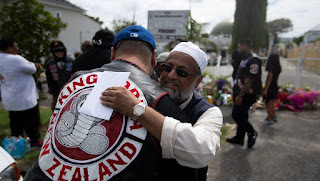 The gang members were warmly greeted by the Ponsonby Muslim community. While commemorating the victims of the terror attack in Christchurch, New Zealand's multicultural diaspora has made sure that they stay connected with their homeland. Haka has reverberated not just around Christchurch, but across the country. "We came here out of respect for the fallen, and that's why we did the Haka, it's a sign of respect. It was a Ngai Tahu Haka because that's the tribe around here. It's used for pretty much all occasions," Hamish Hiroki, president of the Bandidos told Reuters. Although, Haka has been misconstrued as a "war dance" or challenge, in Maori culture, however, Haka means to simply dance or perform, and different Haka are composed by different tribes for various uses and occasions. According to Haka expert Te Kahuata Maxwell, those being performed over the past week in and around New Zealand were a response to the trauma the community felt.